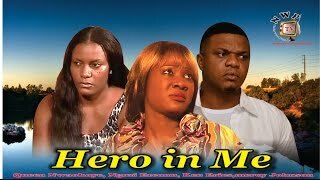 The drama nearly comes to an end in the Part 2 of...Spirit of a Hero Nigerian Movie showing on Nigeria Movie Network, a sequel to Cry of a Saint 1&2. The traditional movie stars Jibola Dabo, Chika Ike, Chacha Eke, Oge Okoye as main characters. After watching, endeavor to leave your thoughts and opinion about the movie, especially if you learned/learnt something from the story. You can also visit our FB page to share your thoughts on our wall or on our NollywoodSocial page here: NMN. Spirit of a Hero is directed by Ifeanyi Ogbonna, and produced by Chinweike Nwegwu. This video on Nigeria Movie Network is courtesy Nollywood Best YouTube channel.